Virtual reality started making fresh headlines in 2014, when Facebook made a $2 billion acquisition of Oculus VR. Now Google has ramped up its VR production releasing its own hardware product the Day Dream View mobile headset. As Wall Street tries to calculate the possible impact on a number of industries, Goldman Sachs Group has put forth some charts laying out its assumptions for what it believes will be an $80 billion market by 2025., with an estimated 2.4 Billion being attributed to the real estate industry. Our Base case assumptions lead to $750mm in revenue in 2020 and $2.6bn in 2025. To size the market we consider the number of agents using VR as a selling tool and the potential average annual spend. We believe the value proposition of a VR listing ad can significantly outweigh that of an online ad. For 2020 we estimate 130k in real estate agents using VR to show properties with an annual spend of $5,000 which we believe can grow 10% annually. 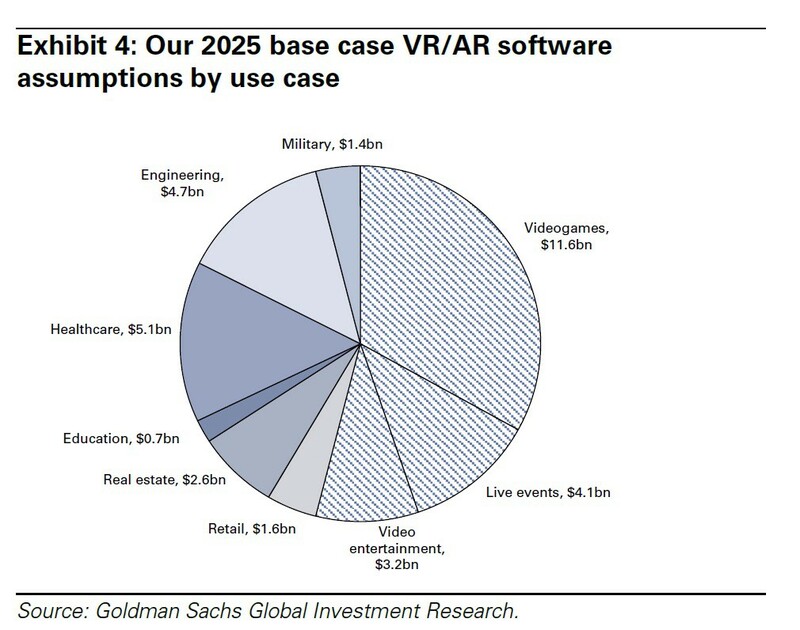 In light of a $107bn real estate commission market and given VR has the potential to change the business model, we see these estimates as conservative. The numbers don’t lie. One of the largest industries set to transform thanks to the power of virtual reality is Real Estate. Virtual reality has the potential to drive consumer and business purchasing/renting in this sector. Sotheby’s , Redfin and large commercial developers are using VR to show properties to prospective buyers/tenants. VR is changing the industry by improving the listing experience for buyers. When we’re presented with nice photos and video walk through, it just isn’t the same thing as physically moving through the space yourself. Virtual reality gives you the chance to peer around the corner, step outside and survey the neighborhood, and get a gut feeling for what it’s like to work in that space. 360-degree property tours using VR will likely remain in the luxury and commercial sphere for now. Cost are coming down rapidly as new 360 cameras are released monthly. The time-saving potential for buyers and renters is enormous, and eventually the technology should be more widely accessible. 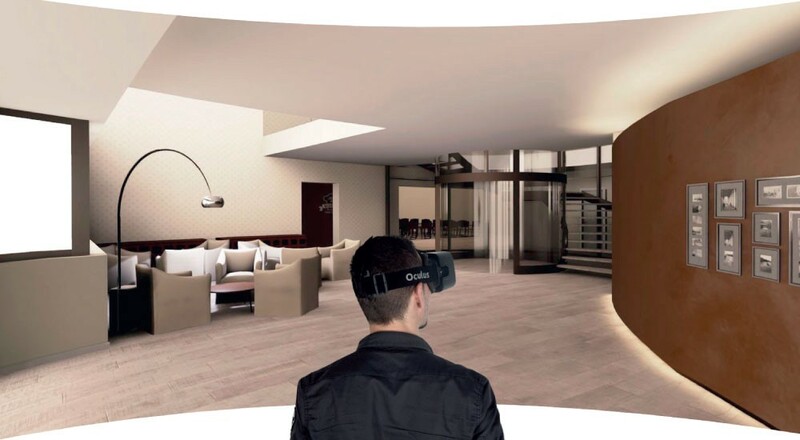 One day clients could view 20 properties from an office in an afternoon using a VR headset. What’s more, out-of-town and international buyers could view properties without having to get on a plane. In the case of spaces that are still under construction, VR also offers the next best thing. If you don’t have an actual space to walk around, if the building doesn’t exist yet, or it doesn’t look how you want it to for when you lease it or sell it, then there is no better experience than to virtually immerse someone into that world. Also consider empty space that are available but leave little to the imaginations. An empty office space with endless possibilities. Imagine walking through that same space with a creative type design and then with a swipe of a button changing to a more contemporary layout. Virtual Reality provides endless possibilities to marketing spaces to potential buyers and tenants. Virtual Reality creates a new and even more intuitive way to interact with your computer or smart phone. In the world of VR, the controls of the device become what we are already familiar with through gestures and Graphics. VR also gives is a wider field of view, where the concept of the virtual desktop no longer confined by the size of the physical display screen on our desktop or palm of our hands. Given this attributes of ease of use and multiple use cases across the real estate industry, VR has the potential to disrupt and improve the real estate buying process.